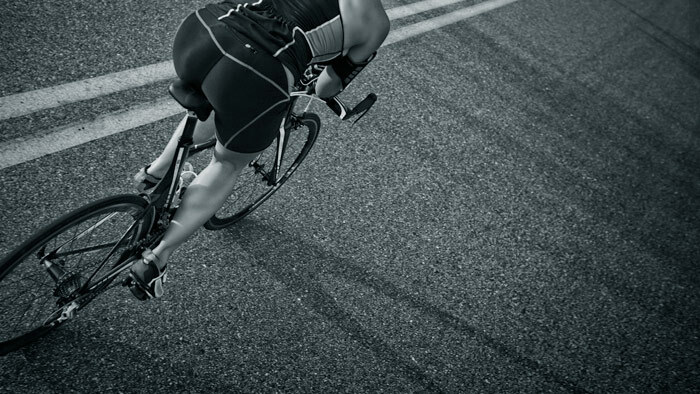 Normalized Power® (NP®) is an important metric for cyclists and triathletes to understand. While it sounds complex, it is very valuable to understand what NP is and how you should use it in training and racing. In order to better understand NP, let’s first consider some basic exercise physiology to give us context. Fundamentally, to build fitness, an athlete needs to apply a stress to the body, and then through recovery from that stress, the body adapts and becomes stronger and is able to accommodate a greater stress in the next round of training. The fundamental components of “stress” are intensity, duration and frequency, or how hard, how long and how often. The “how hard” piece has historically been difficult to quantify, but for cycling, power meters have given us a very direct objective measurement of the actual work an athlete is doing. Taking Average Power (AP) by simply averaging the highs and lows of an effort over a given duration is pretty simple to understand and calculate and on the surface seems like a great way to capture how hard an effort is over a particular duration. But, it’s actually somewhat limited in its application. As an example, let’s take two different efforts of 1 hour. First, a steady 1 hour ride on a trainer with little to no variation in output at an average of say 200 watts might be a fairly easy ride for a particular rider. Next, consider a 1 hour ride on a hilly course, and insert 10 to 15 short intervals where the same rider is putting out 300 to 400 watts for 15 seconds to 1 minute at a time followed by easier pedaling below 200 watts for recovery. With all the higher highs and lower lows, the athlete may still average 200 watts. However, from a “feel” perspective, the variable ride is much harder and leaves that athlete more fatigued and in need of recovery. Where the 200 watt steady ride may have been easy enough to be considered recovery unto itself, the variable ride may have been more equivalent to a much harder ride physiologically depending on the particulars of the variance. As this example illustrates, average power is not sophisticated enough to capture these nuances, and this is where the concept of normalized power comes into play. Normalized Power is calculated using an algorithm that is a little complex, but in a nutshell takes into account the variance between a steady workout and a fluctuating workout. The resulting value is an attempt to better quantify the physiological “cost” of the harder “feel” of the variable effort. For a highly variable workout, NP can be much higher than average power, where for a very steady workout, NP and average power are equivalent or very close together. A relatively high NP is showing that the workout had a lot of variation, and was harder physiologically than what average power may reveal. So where do we use Normalized Power? Primarily in any calculation were we speak to training stress, stress balance or training load. The planning challenge for every athlete is how much stress and how much recovery is needed in order to maximize adaptation and in turn maximize fitness. Since there are a lot of individual factors that come into play with each athlete’s situation, anything that can enable us to better quantify “stress” means we can plan workouts and recovery better to meet a particular athlete’s needs and maximize time to help better enable them to reach their goals.